Buckeye Cleaning Cleaning is a family-operated company owned byDaniel and Katty Garcia of Columbus. We offer emergency service, and guarantee your satisfaction. Your workplace is your Mecca where you ideate, dream and prosper. 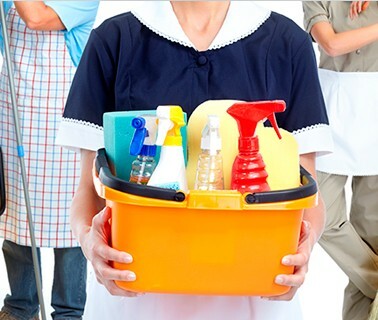 To get the best out of you and your team a clean and hygienic environment is important. It is only in clean environs that good ideas and prosperity dwells. Thus office cleaning becomes mandatory. Some of the worst germs dwell in office corners, sofas and laptop keyboards. Thus is it very important that proper office cleaning is done that maintains the hygiene of your work place. With professional office cleaning, you can ensure sanitized surrounding leading to high productivity. Removal of dirt and mite is very important for health of the employees. Clean work spaces are motivating for the workers to work in. Steer clear of infections caused by cockroaches, rodents, birdsetc which tend to make homes in unused office areas.